SNP deputy Westminster leader Kirsty Blackman has hit out at the UK Government. Warning: Kirsty Blackman MP has hit out at the UK Government. 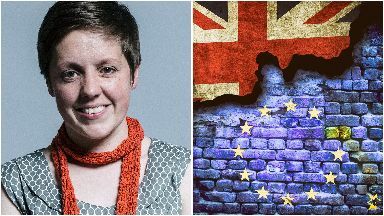 SNP deputy Westminster leader Kirsty Blackman has warned against an "absolute nightmare" no-deal Brexit scenario ahead of the Chancellor's Autumn Budget. Mrs Blackman accused the Conservative government of being "far too focused on negotiating with itself", arguing businesses were lacking certainty and trust in the Prime Minister's capability to strike a deal with five months until the UK is due to leave the EU. Mrs Blackman, the party's spokeswoman on the economy, said: "Businesses are implementing their plan B, some of them are onto implementing their plan C. We are so close to Brexit day and nobody has any certainty." She added: "People are not happy about the state of the negotiations, they are not happy particularly about the lack of certainty that there is and I don't think there is any trust in Theresa May's abilities to get this done." A no deal Brexit, she cautioned, would cut incomes, impact economic growth and result in "huge" job losses. She added: "A no-deal scenario is an absolute nightmare scenario, I can't think of a country in history that has brought such foreseeable economic harm on itself. I genuinely think that it will create a huge number of redundancies." The SNP, she added, backed the Institute of Directors' calls for the Chancellor to create a fund that would allow smaller businesses to apply for grant money to prepare for Brexit. The MP for Aberdeen North also called for the Government's flagship benefits system Universal Credit (UC) to be halted and fixed, plus the cancellation of the two-child cap and sanctions regime. Philip Hammond is under mounting cross-party pressure to come up with additional support for UC when he delivers his Budget statement in the Commons on Monday. 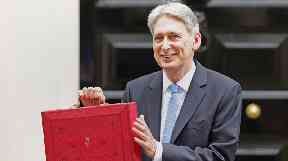 Mrs Blackman cast doubt on the Chancellor implementing the end of austerity following Mrs May's conference speech. She said: "I would define the end of austerity as reaching a situation where our public services are adequately funded, where we don't have a benefits freeze, where we have a situation where people are earning enough to live on, whether they are getting enough to live on through social security or whether they are getting enough to live on through wages, and I can't see Philip Hammond choosing to do those things as a Conservative Chancellor." Mrs Blackman also called on the Government to approve the oil and gas sector deal, adding it would make a "big difference" in ensuring continued exploration, innovate research and securing the industry's "world leader" status.